True compassion or unconditioned compassion overcomes all forms of obstacles, negativities, doubts, fear, expectations. 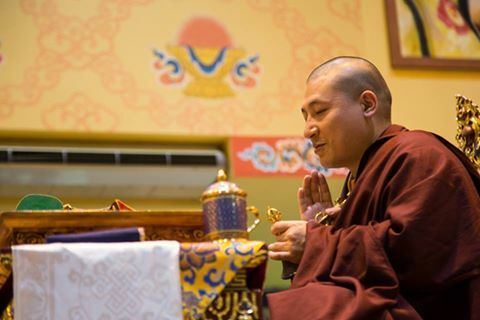 Unconditioned compassion and loving kindness go beyond all boundaries – not just physical or material boundaries, but all forms of mental boundaries and difficulties that we experience from time to time in our lives. Let us utter words of peace, not anger. Let us act with loving kindness, not hatred. Buddhist teachings are extremely difficult to preserve, mainly, as Buddha said, due to our emotions. Of course, the karma factor comes into play. Karma is a very strong force, a very powerful force that drives us to various limits. But by trying to understand the challenges of karma and the afflictive emotions that we face every day, we actually come to understand how beneficial this practice of compassion and wisdom is. The practice of compassion and wisdom is the antidote to the karma and afflictive emotions we face. We don’t have to exhaust ourselves with our meditation, with our practice. It is something that as practitioners we should be mindful of – that we practice until our mind is comfortable and take care not to exhaust the body, to take some short breaks in between, but then to continue practicing. In this way, it is much more fruitful. 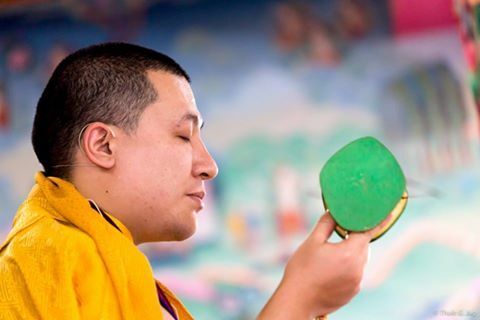 Later on, when you get very comfortable with the meditation and the practice, of course, you can extend but otherwise it is much better with short sessions.